The next Living in Harmony meeting will be Tuesday, May 11, from 7 pm â€“ 9 pm, Henrietta United Church of Christ, 1400 Lehigh Station Road. A new documentary about coal mining, titled â€œCoal Countryâ€ (www.coalcountrythemovie.com) will be shown. Most Americans are shocked to learn that nearly half of the electricity used in the United States today is produced by coal, the dirtiest fossil fuel. reactors for the first time in the US in three decades. GOVERNOR RICK PERRY APPEARS TO BE SATAN'S MAN TO GO TO IN A PINCH FOR INJUSTICES IN TEXAS !!! MOST OF OUR AMERICAN MILITARY IS MADE UP OF POORER U.S. FAMILIES CHILDREN WHO RISK THEIR LIVES TO PROTECT ALL AMERICANS FREEDOMS JUDGE EDWARD DUFRESNE !!! AMERICA CURRENTLY HAS TENS OF HUNDREDS OF THOUSANDS POORER U.S.SOLDIERS STATIONED WORLD~WIDE READY AND ABLE AT MOMENTS NOTICE WILLING TO RISK THEIR LIVES TO PRESERVE ALL AMERICANS FREEDOMS.THIS DIRECT ATTACK ON OUR POORER INNOCENT AMERICANS FREEDOMS THAT TOOK PLACE IN THE 5TH CIRCUIT COURT OF APPEALS IN LOUISIANA ARE 12 YEARS OF CONTINUED INJUSTICES THAT SHOULD NEVER BE FORGOTTEN BY CARING AMERICANS IN AND OUT OF OUR U.S. MILITARY SERVICES !!! 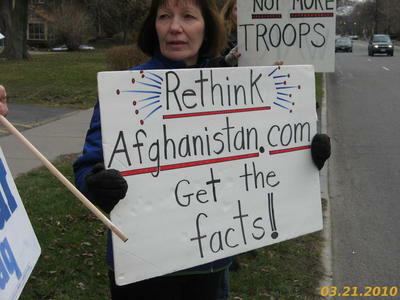 Read more about MOST OF OUR AMERICAN MILITARY IS MADE UP OF POORER U.S. FAMILIES CHILDREN WHO RISK THEIR LIVES TO PROTECT ALL AMERICANS FREEDOMS JUDGE EDWARD DUFRESNE !!! 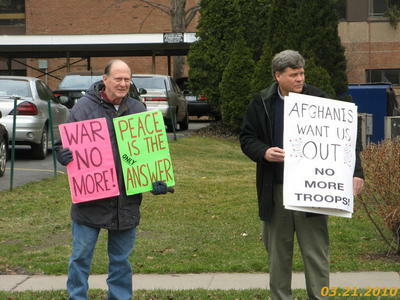 Between 60 and 70 people gathered at noon on East Ave and South Goodman St to demand an end to US wars in Iraq and Afghanistan. March 19 was the 7th anniversary of the US invasion of Iraq. DENYING THE INNOCENT POOR IN AMERICAN PRISONS THEIR POSSIBLE FREEDOMS ARE CRIMES AGAINST HUMANITY ISSUES THAT NEED CHANGE !!! IF THESE CRIMES AGAINST HUMANITY BEING INFLICTED ON THE POSSIBLE INNOCENT IN OUR U.S. PRISONS IN LOUISIANA ARE NOT CORRECTED PRESIDENT OBAMA ~ THEN WHAT IS TO BE WITH THE OTHER VARIOUS U.S. STATES ALLOWING THESE SAME EXACT INJUSTICES TO BE INFLICTED ON THE INNOCENT POOR IN THEIR PRISONS ??? Read more about DENYING THE INNOCENT POOR IN AMERICAN PRISONS THEIR POSSIBLE FREEDOMS ARE CRIMES AGAINST HUMANITY ISSUES THAT NEED CHANGE !! !